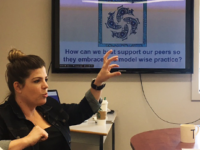 As part of our work in Ladner (see our first post here), we introduced Catalyst to 25 Coordinators of Inquiry. These are lead teachers who are released about one day a week to support their colleagues to engage in Spirals of Inquiry. to learn to play Catalyst! 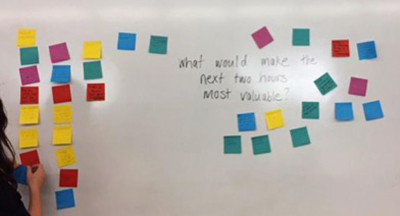 The themes this question xposed reflected our reasons for creating Catalyst. The Spiral of Inquiry encourages diverse ways of knowing, being, and doing, and so we began by getting to know one another. Forming a circle (a familiar First Peoples process for sharing), names and three key personal words were offered from each circle member. The collaboration process and ways of knowing continued as we began the first Catalyst activity. The Papa Tāngata (or ‘people board’) offers a practical way of sharing our personal data with one another and building the relational trust needed for collaborative inquiries. 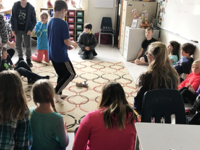 As Brooke Moore, District Principal of Inquiry and Innovation (Delta School District #37), said in her feedback, “The game creates relationships needed. Going slow at the start helps you go faster later”. It was a delight to watch the group process taken when unpacking their Catalyst game pack. Inquiry mind-sets were clearly present — some groups had opened and explored the game pre-workshop, others waited for step-by-step facilitator instructions, while others had fully explored the game by setting it up, allocating roles, and attempting to figure it out. 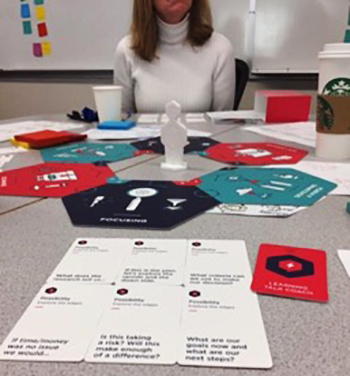 As we facilitated the gameplay, groups became immersed in learning conversations prompted by the role cards which contain question stems to test assumptions, seek varied perspectives, and challenge one another’s thinking. 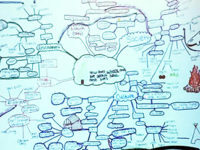 This ability to stimulate and deepen learning conversations is a strength of the game-like tool. Catalyst has been noted as offering a ‘third point’, helping the coordinators or leaders of learning to ‘take the edge off’ the hard parts of challenging conversations. 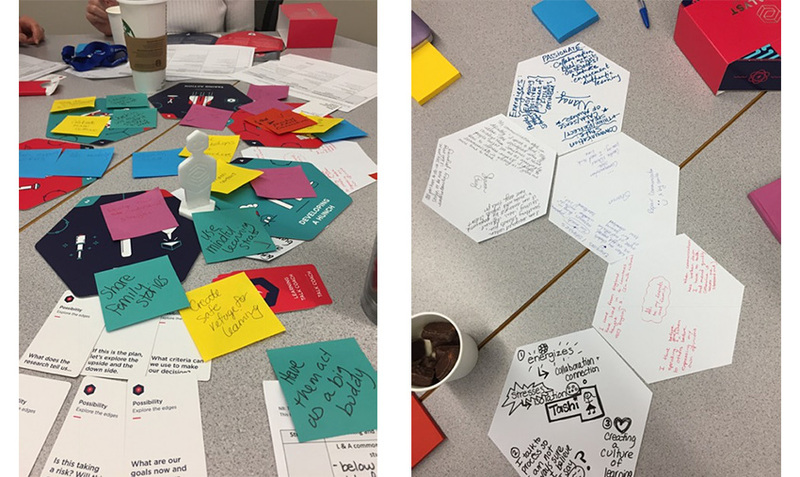 Everyone in the team has a role to play, and using the role question cards flattens the hierarchy in team learning-focussed conversations. 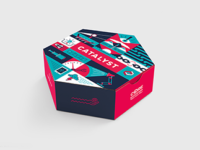 How can we order the Catalyst game? I saw you at the NOII Symposium. I am interested in checking it out!